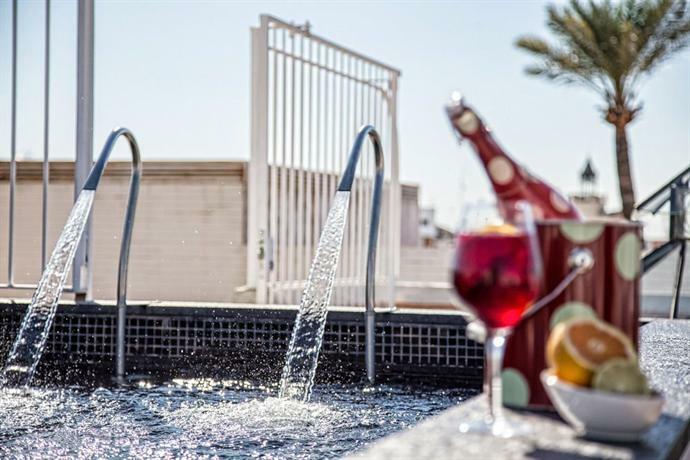 Located at the top of the AlmaSevilla Hotel Palacio de Villapanes the rooftop pool and terraza overlooks the Sevilla cityscape below. The outdoor pool features chaise loungers and sun umbrellas in the summer. The pool is seasonal.